The 12th Hole at Charleston National Golf Club. Original plans for Charleston National Golf Club called for the creation of an exclusive, national membership-based sporting enclave. However, proposals for a private facility were abandoned, the course was opened to the public and a vibrant community sprang up on the surrounding acreage. 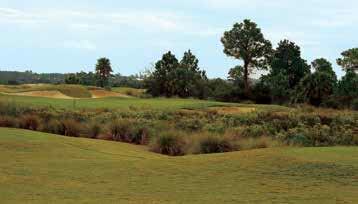 This special Rees Jones-designed course meanders skillfully through marshes and woods and affords a scenic test of golfing skill. There is some island hopping on the back nine as you navigate open marshes on tee shots and on par 3s. The 16th Green at Dunes West Golf & River Club. At Dunes West Golf & River Club, a long drive eventually takes you to a stately clubhouse after passing tall live oaks draped with Spanish moss. 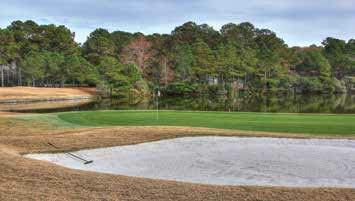 It creates a sublime mood for a fun day of golf. Dunes West plays anywhere from 6,859 yards down to 5,208, and water comes into play on seven holes. The fairways are fairly large and forgiving. Number four at Dunes West, a 489-yard par 5, is a well-thought-out design. A big tee shot leaves you with an opportunity to go for the green in two, which demands a carry across a pond that runs down the left side of the fairway to the green. 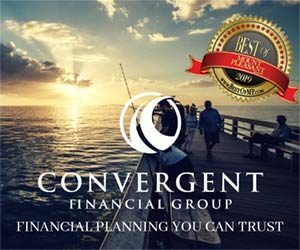 In 2019, the club plans to renovate three hard tennis courts, purchase two additional pieces of maintenance equipment and continue landscaping improvements around the pools and tennis courts. The 8th Hole at RiverTowne Country Club. 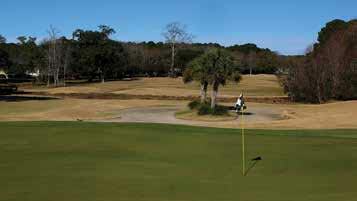 RiverTowne Country Club is Arnold Palmer’s first signature course in the Charleston area. 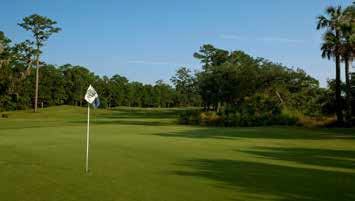 Situated among scenic marshlands and majestic live oaks, 13 holes are routed along the Wando River and Horlbeck Creek. The tree-lined fairways provide generous landing areas to set up approach shots to multitiered greens guarded by bunkers and water. The private Snee Farm Country Club is located on the beautiful, centuries-old Snee Farm Plantation. The club is home to a George Cobb-designed course, a newly renovated clubhouse, a full-service restaurant and bar, a fitness room, 18 tennis courts and two newly renovated swimming pools. 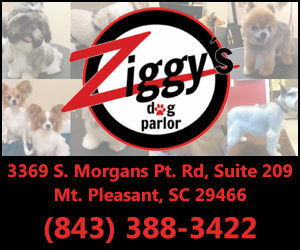 Members are also privy to a variety of social events, including dances, cookouts, holiday parties, trivia nights, live music, a kids club and more. One of the best holes on the course, and certainly the toughest, is the monstrous 610-yard par 5 sixth. It demands a strong drive and another lusty fairway wood to reach the landing area for a third shot into the green. Par is indeed a welcome result on this hole.